A new beer bar has opened up shop in the neighborhood. Called The Brass Tap, the new arrival is located at 922 Holman St. in Midtown. This Florida-based chain has other restaurants in Texas, but this is the first outpost to open its doors in Houston. Look for a wall behind the bar filled with more than 50 taps. "Everybody that works here has to go through beer training," owner Carey Seay told the Houston Chronicle. The new beer bar has garnered rave reviews thus far, with a 4.5-star rating out of seven reviews on Yelp. 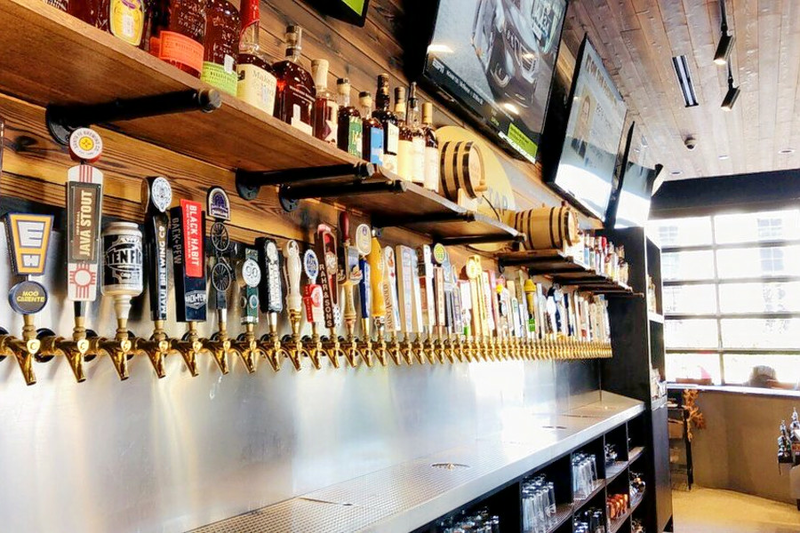 Daisy I., who was the first Yelper to review the new spot on Dec. 4, wrote, "I love The Brass Tap! The food is amazing. My favorite food item has to be the Boom Boom Shrimp. They also have 60 taps on their wall! This is my new go-to beer bar. Cheers." And Santiarti D. wrote, "We went there for soft-opening, so it got really crowded, but the staff was on top of it, the food we ordered came timely and tasted good and we got really cold beers to drink!" It's open from 11 a.m.-midnight Monday-Thursday and Sunday, and 11 a.m.-2 a.m. Friday and Saturday.